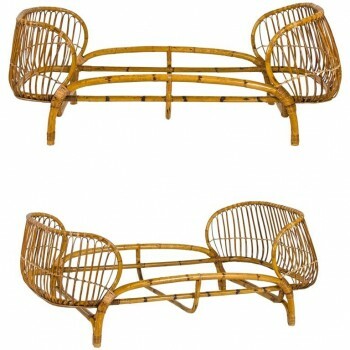 Vittorio Bonacina, pair of beds, bamboo, ISA Production, circa 1950, Italy. Measures: Height 72 cm, width 193 cm, depth 107. 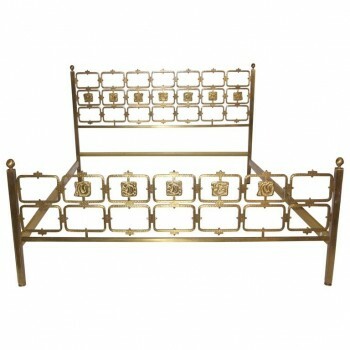 Frigerio, Headboard carved metal with its pair of bedside lacquered wood, circa 1970, Italy. Measures: Headboard height 95 cm, width 2m50, depth 2m05. Bedside tables height 56 cm, width 53 cm, depth 38 cm. Osvaldo Borsani and Arnaldo Pomodoro, important bed, Arredamenti Borsani Manufacture, brass, lacquered sheet metal and brass panels by Arnaldo Pomodoro, circa 1950, Italy. Measures: Height 1m13, width 1m70, length 2m03. 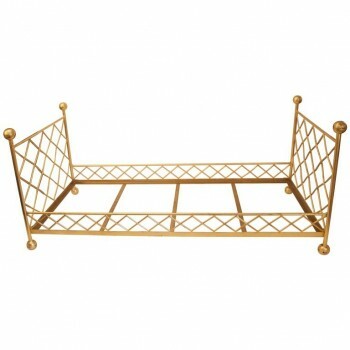 Style Jean Royère, pair of beds, Gilded metal with braces, circa 2000, France. Measure: Height 90 cm, width 203 cm, depth 96 cm. 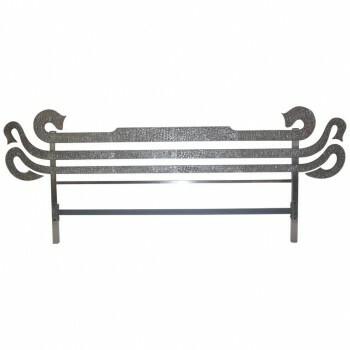 Pair of Headboard, Iron, circa 1960, France. 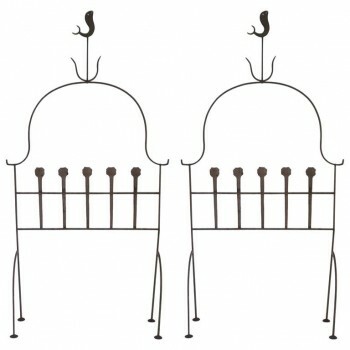 Pair of headboard, iron, circa 1960, France. Measures: Height 2m, width 1m05, depth 30 cm, seat height 47 cm. 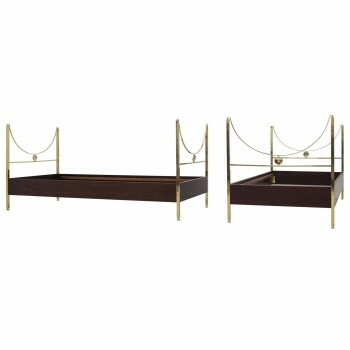 Carlo Di Carli, "D90" pair of beds, Sormani manufacturer, Brass and rosewood veneered wood, 1963, Italy. Measures: Height: 96 cm, Length: 200 cm, depth: 90 cm.